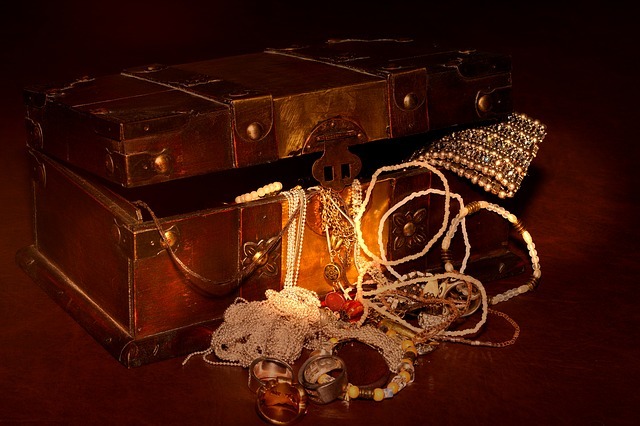 Promises, Promises… I Want Earthly Treasure Now! When life is done we don’t carry away the handful of earthly possessions we’ve accumulated for ourselves. We’re carried away by the mercies and promises of God. Earthly stuff remains behind. This is also the terrible truth old Adam doesn’t want to hear. Jesus is our one and only treasure. Self-improvement isn’t the answer. That’s never worked out for us. Just look at the thousands of years human beings have screwed up and trashed and crapped on this planet, and now historians, activists, school teachers, and the sanitation department expect us to clean up after everyone. We’ve got to wash out and flatten our soup cans. We’re expected to account for every drop of used motor oil. We’re required by law to foot the bill for nuclear waste and buried gasoline tanks and landfilled toxic sludge dumped a generation before many of us were born. Then there’s the people who refuse to foot the bill. They want to blast the world free from history. They picture themselves planting radishes and seed potatoes on the fifteenth green of a golf course. Or, they imagine themselves hunting trophy deer through the damp canyon forests around the ruins of government buildings and digging clams next to the skeletal remains of Las Vegas casinos. Old Adam prefers to ignore God’s promises. He invests instead in a tomorrow that offers him a handful of treats. Old Adam defines the future by how much money he’s got in the bank and how many toys he’s got parked in the garage. But, according to Calvary’s cross, we’re not our job. We’re not our family. We’re not who we tell ourselves we are. We’re not our name. We’re not our problems. We’re not our age. We’re not our personal hopes and dreams. Each of us isn’t a beautiful and unique snowflake. This is why Jesus would make a miserable shrink. For Jesus, not only our hopes and dreams need to be extinguished, but our frailty and weakness must be excised, not adjusted to. Jesus stands outside our characteristic approach to thinking and acting, and he refuses to come in. And that’s our main problem with Jesus. We can’t agree with Jesus and we can’t let go of Him. But even in those moments of exposure, old Adam’s self-justifications are close at hand. How easily we try to cover our nakedness with rationalizations and, in a single movement of our soul, quickly come to resent the embarrassment that the revelation of our actual condition causes us. We despise the disturber of our self-respect. We reject trite platitudes like, “Jesus alone is our mercy and wisdom,” or, “Jesus is our great treasure.” We reject the authority of anyone—son of man or son of God—to speak to us in such terms. How dare Jesus, or anyone, speak to us in terms of extinguishing dreams and excising weaknesses. Metaphors notwithstanding, who does He think He is? But there He is, the One who ended up mutilated for the things we own, and for the thing that owns us — our sin. He who said “cut off your hand and foot if it causes you to sin” was hanged hand and foot from the cross. He who advised “plucking out your eye rather than sinning” shut both His eyes in death for us. Jesus has earned [and proven He alone has] the authority to speak to us in this way by dying, descending into hell, and rising from the dead. And why? So He can deal with us honestly and openly about the gravity of our sin, having forgiven us our sin in such mutilated agony. His forgiveness of us evokes astonishment at the pride we take in our handful of treats, our feeble attempts at self-sufficiency, and our self-justifications. Jesus’ bloody suffering and death reveal that we all stand in need of grace, not Swedish furniture and clever art. Not to be complete. Not to be content. Not to be perfect. We just need God’s limitless, irrevocable, never-ending grace in Jesus Christ. The only mercy we need, the only treasure we possess that will last us into life-everlasting is God’s grace in Christ Jesus. Costly, hard-earned grace that He gives to us for free. In Jesus, then, it’s even a mercy to hear of the awful judgment of God and to be blessed by Him with the wisdom to appreciate the value He places on old Adam’s deaths and our new lives in Christ. This mercy and wisdom is ours through faith in Jesus who Himself is our mercy and wisdom. His promises to us are never forgotten and His kindnesses to us never end. His mercies to us are new every morning. By His wounds we are healed. This is His promise to us. He is our great treasure. Jesus. AMEN.